Hello, I am presenting a new wall. The place with Adobe Photoshop, use about 20 layers, were not many actually because I think it was very simple what I wanted. The time was 1.30hrs, the vector of Knowledge, soon I'll give the url, now I remember where I serve. Well, I hope you will enjoy it. Saber is beautyful. I like it, good job. I like this one a lot. It's a good one for her. I haven't seen the show in some time... this makes me want to again. 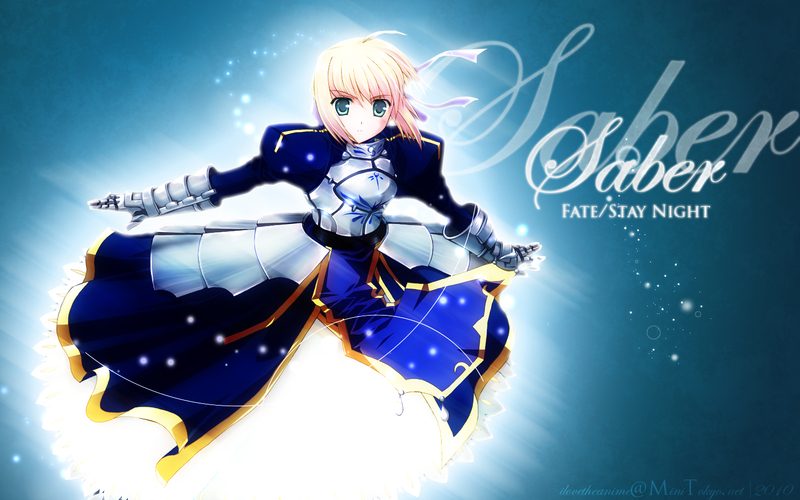 Fate Stay Night "Thank you"
saber looks really cute here. good job! Love Saber, thanks a lot.